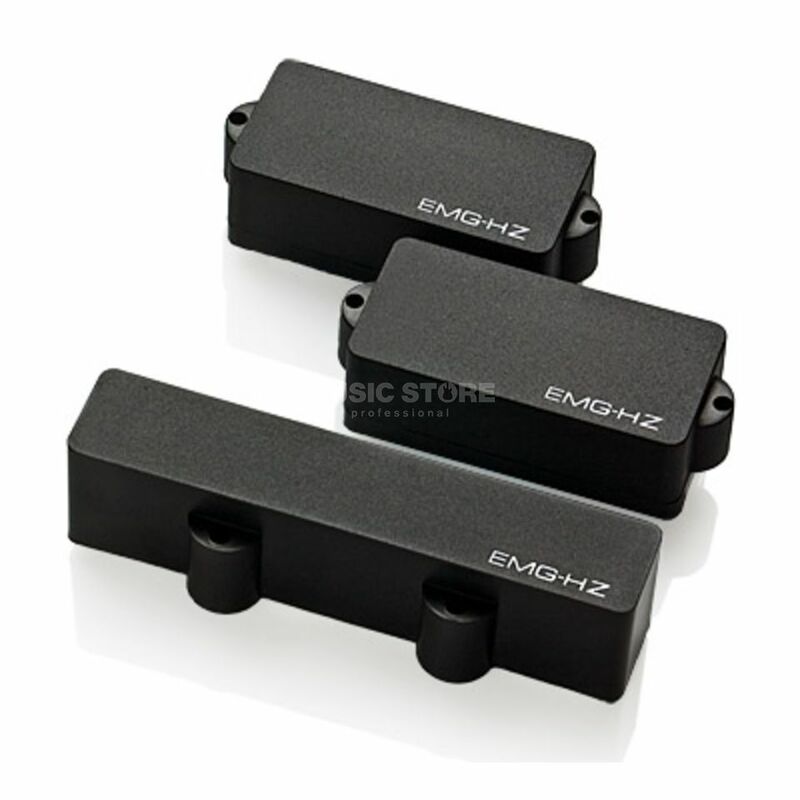 The EMG-PJHZ BLACK - The PJHZ SET combines a P pickup with an LJ pickup into on set, giving you more flexibility and a great passive tone. Both pickups use a ceramic magnet with a steel core and can be used as a direct replacement for all Fender-style instruments. All HZ Pickups have EMG's exclusive 5-wire quik-connect output allowing any number of wiring combinations, and are fully shielded for a minimum of noise. String grounding is recommended to further decrease noise.